I fished a few days this weekend between the fronts. The first day was definitly tough. We started out by fishing the same spots I crushed them the weekend before and it was the dead zone at least according to pelagics. All they had was jack crevelles and kings. 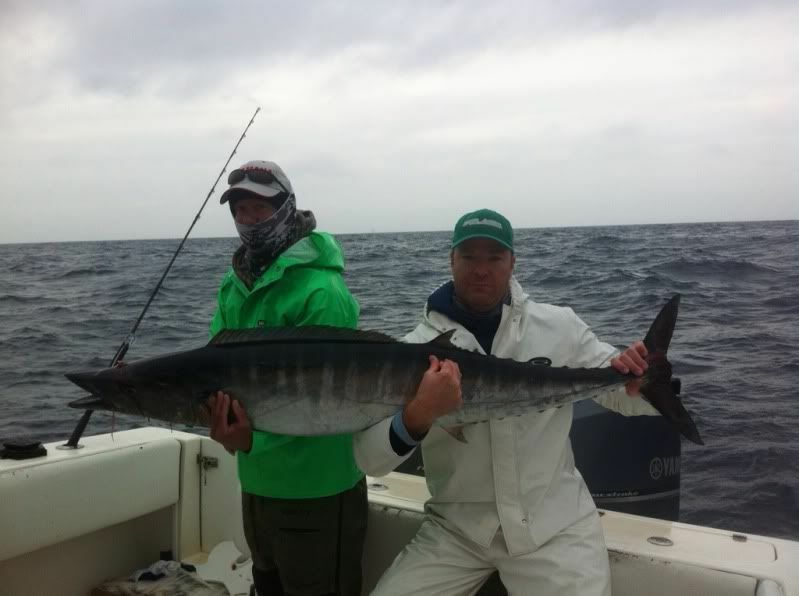 We saw some amazing king mackeral shows blowing through balls of pogies but no tuna or wahoo. 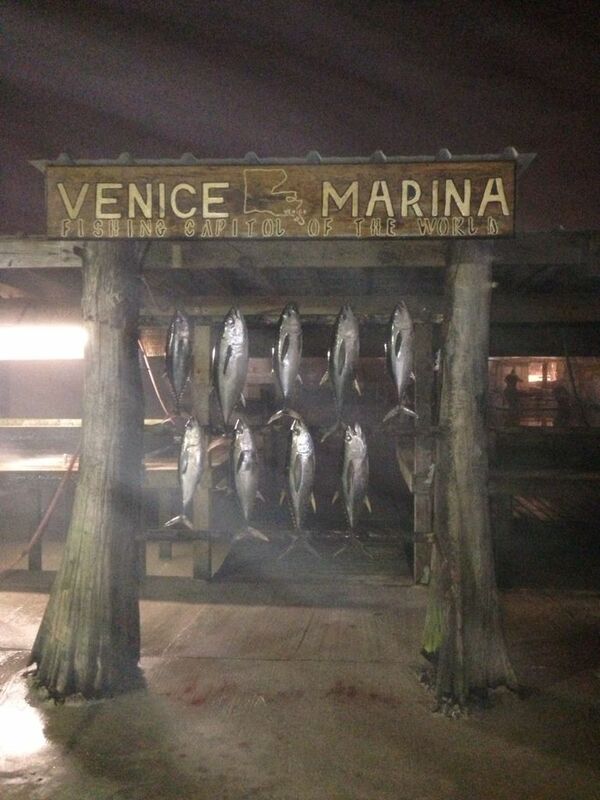 At 330 I had one blackfin in the boat total. Made a drastic move to a set of rigs about 45 miles west of where I had started that day and managed to finish off an ok day. 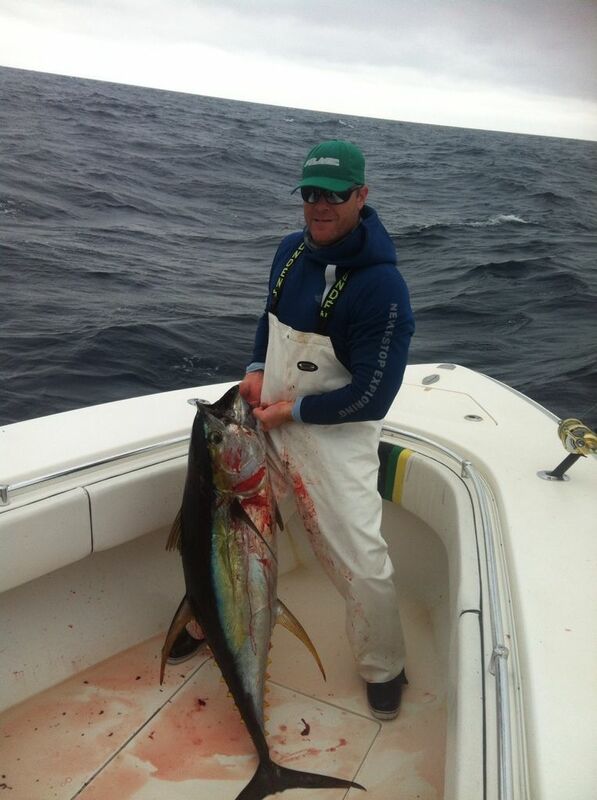 Using xraps and bombers we put 5 more blackfin and 3 small yellowfin in the boat to end up the day. On Sat I had the same crew as the day before so I made a 180 and went in off in a completly different direction. 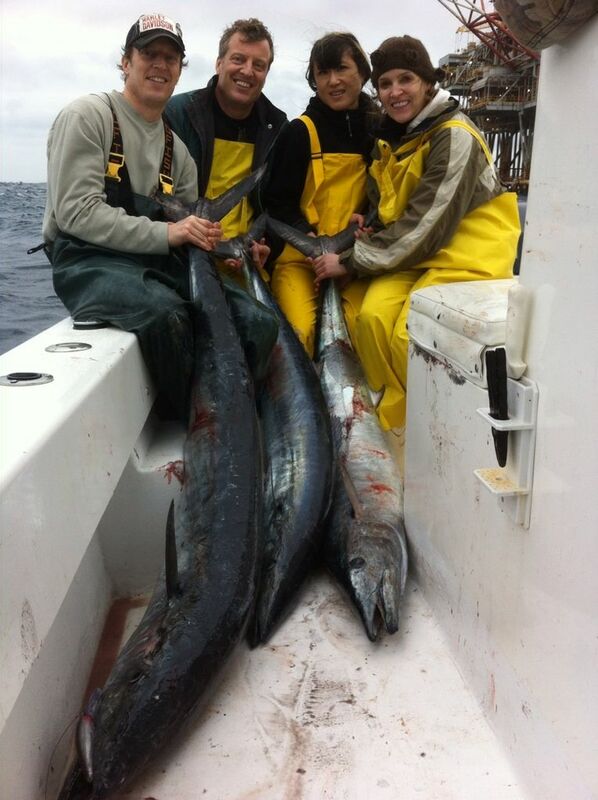 We hit a few rigs for wahoo and found some success and went 5-7 on wahoo before they shut off. 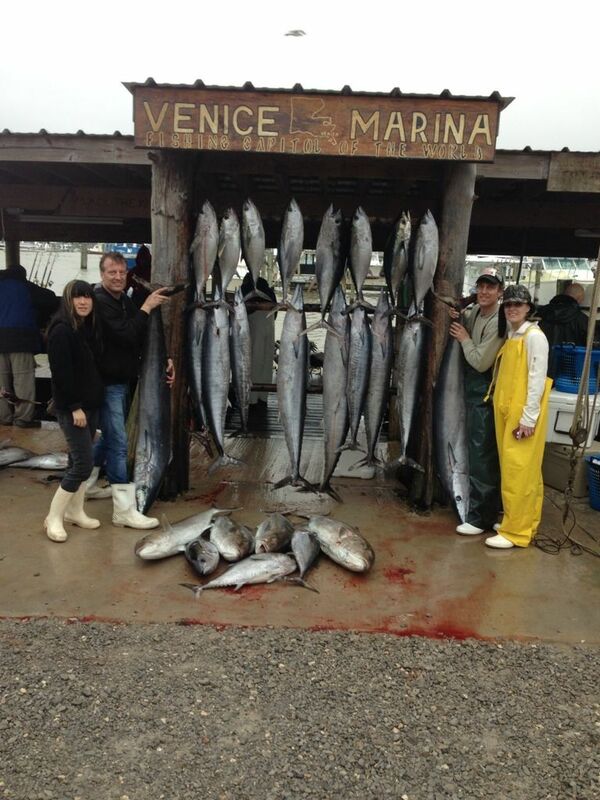 Headed over to the tuna grounds and started chunking. A little front blew through and we waited it out and started fishing hard after the rain stopped. 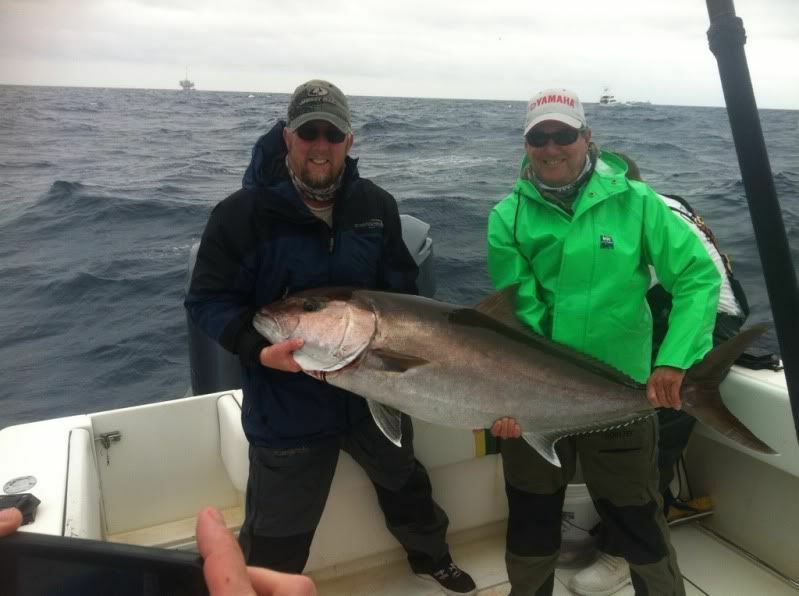 The first drift we got three fifty pound yf and a blackfin. The next drift we got one small yf and a blackfin and after that it slowed off and we headed to the house. 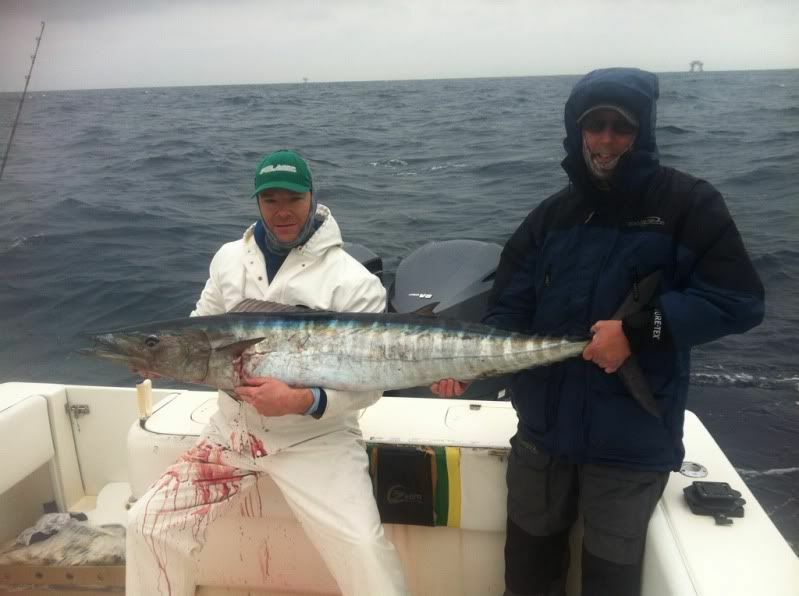 On Sunday capt Mike and I both headed out for some wahoo action. The fish had moved a little from the day before but we got on them again and michael beat me on the wahoo bite. He had 10 by 9 am to 85 pounds and I only pulled 7 wahoo. We pulled our fish off different rigs from each other so there were a bunch of fish in the area. 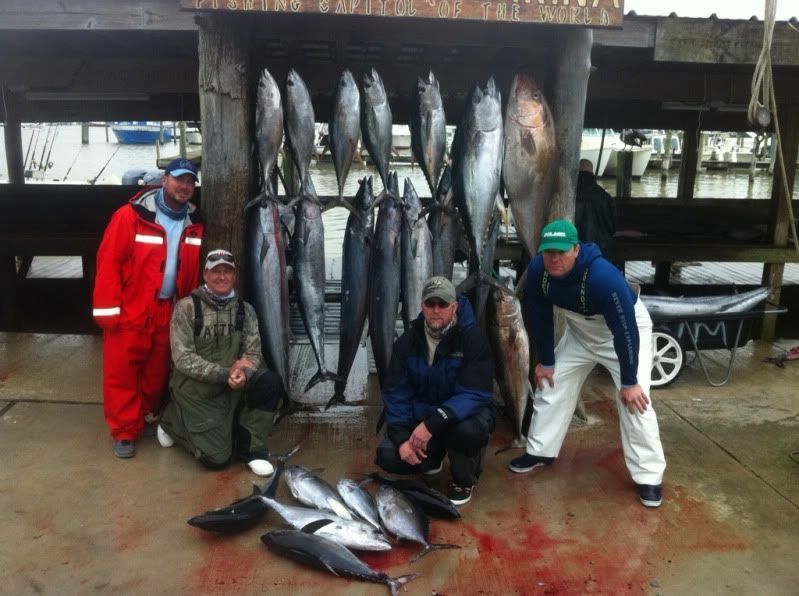 We headed over to start chunking and the blackfin and small yf bite were pretty soild. Michael hooked a stud and fought it for 30 minutes before it broke off. 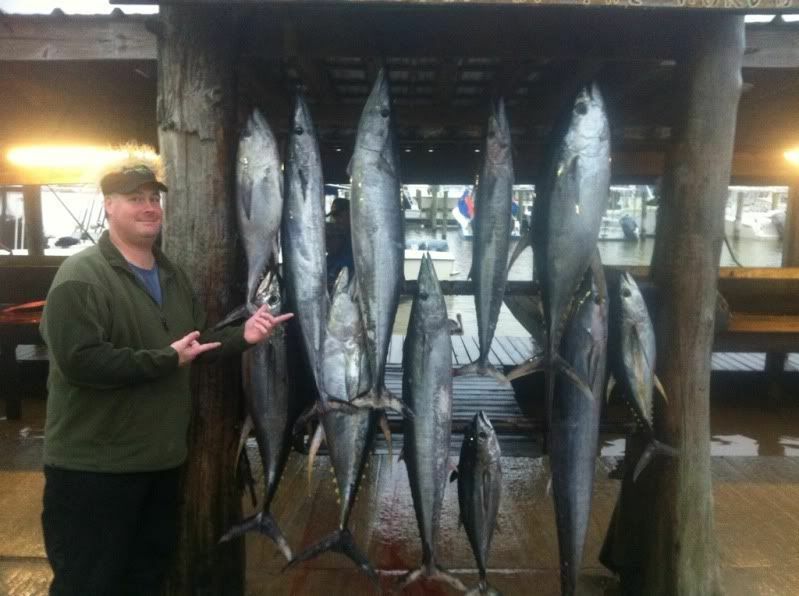 He did get 2 small yf and 9-10 blackfin plus a limit of ajs. I got one yf about 75 pounds and a 70 pound aj. Also got 5 other yf and a handful of blackfin.